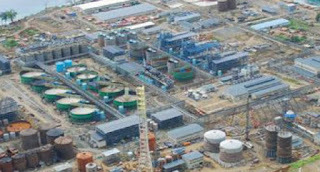 Papua New Guinea's RAMU Nickel Project has life span of over 35 years, according to project developer Ramu NiCo Limited. And with exploration continuing, the project life’s span could even increase, vice president of Ramu NiCo Management (MCC) Limited, Wang Baowen said on Wednesday when addressing aggrieved landowners at Mindre village. Mr Wang was accompanied Mineral Resources Authority cheif executive officer Philip Samar, MRA senior officers and a legal officer from the Investment Promotion Authority. Mr Wang was addressing aggrieved landowners who petitioned the Government and the developer over what they claimed were missed business opportunities, compensation payments, royalties and environmental issues. Certain community leaders alleged at the gathering that minerals were being shipped out of the country in ship loads after ship loads and they were suspicious that the mine life of the project was coming to its end soon. However, Ramu NiCo Community affairs manager Albert Tobe said such stories that are being speculated were not true. Mr Wang said that initially the mine’s life-span was about 25 years, however, with recent exploration and discoveries of ore up at the Kurumbukari plateau, the mine life may extend to over 30 years. He told landowners of Basamuk that the developer is also a local company with interests of landowners, State and the province at heart. “Am very clear regarding your concerns on business opportunities,” Mr Wang said. Mr Wang said the company had to face many difficult challenges initially from the start until it went into production. He said it is also a big challenge for Chinese employees working in PNG particularly with the language, cultural here, and the challenge of leaving behind their families to come to PNG just to operate the project. However, that was a big commitment they have made for the development of the economy and its people. Mr Wang said it was only last year that the company achieved full production capacity. He also told the landowners at Mindre that all compensation claims which they were seeking must come within an agreement. “With regards to business opportunities, we want to give business to landowners and we provide what we can, but there are other businesses that require strict management requirement” Mr Wang said. He said the company is willing to discuss further with the landowners through Ramu NiCo community affairs department business development section to deliver their requirements in business opportunities.